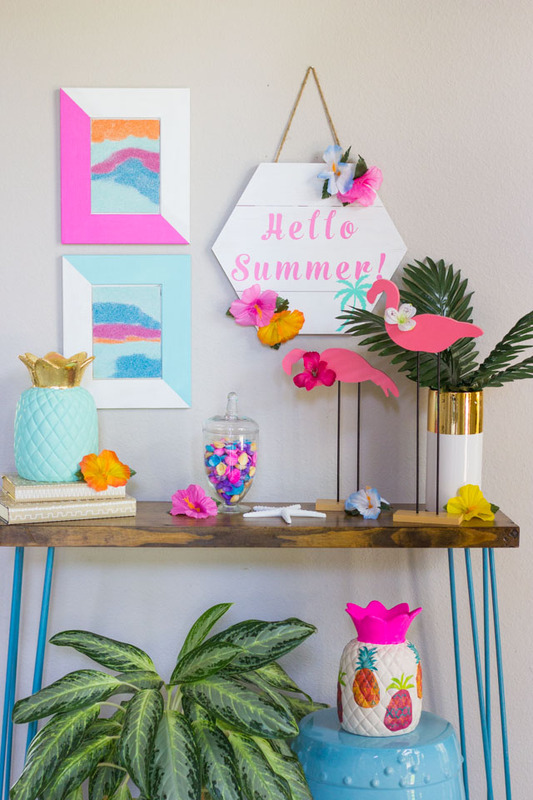 I think DIY wall art is the best kind of wall art – and our home is filled with it! The latest addition? 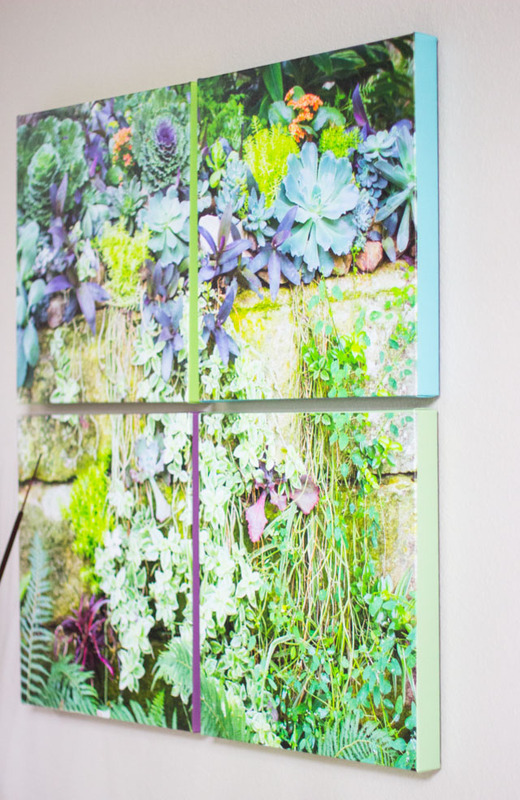 Our new succulent photo art in the foyer using stretched canvas prints from SnapBox! 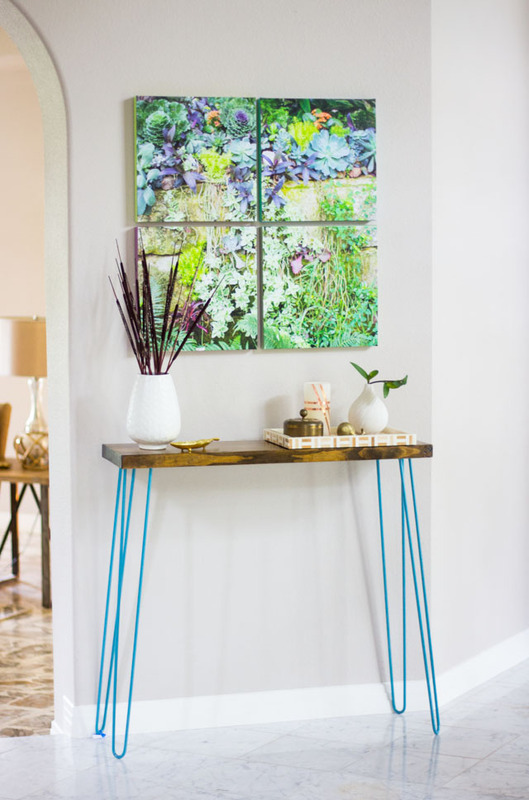 It makes such a difference to have a colorful piece of art and a small console table in our foyer after 2 years of it being just a blank wall! We had struggled with what to put in the space, and I completely owe my husband Ross for this idea. 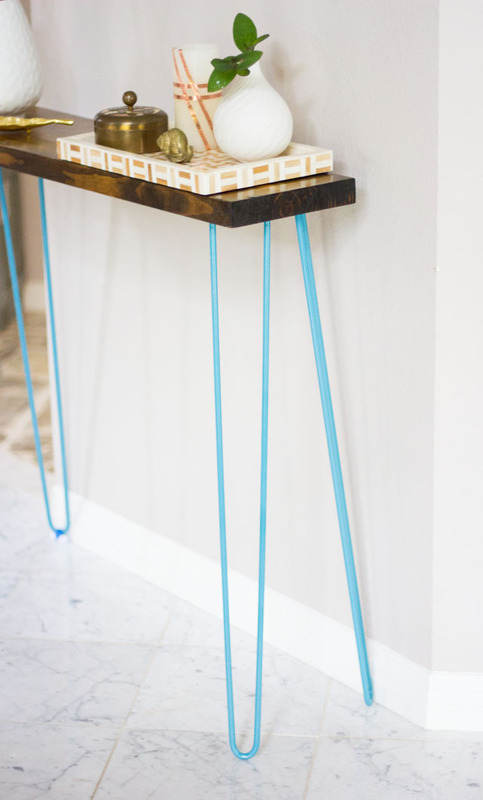 He build the console table using a piece of wood left over from his man cave and these cool hairpin legs that we painted a bright blue. 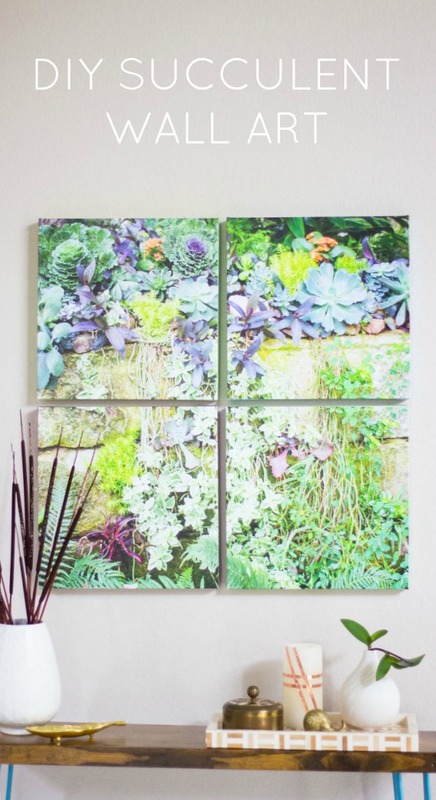 SnapBox made it easy to transform the succulent photo into canvas wall art complete with fun colored borders. 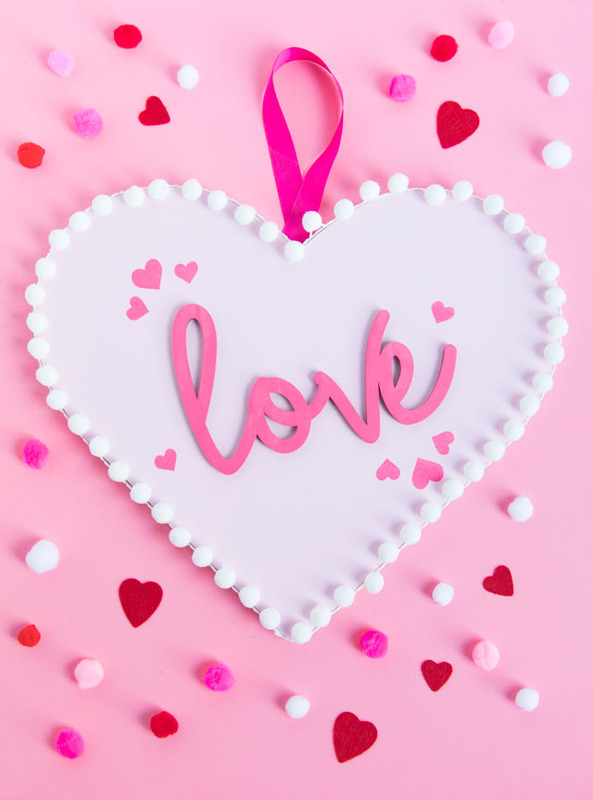 Read on to see how! 1. 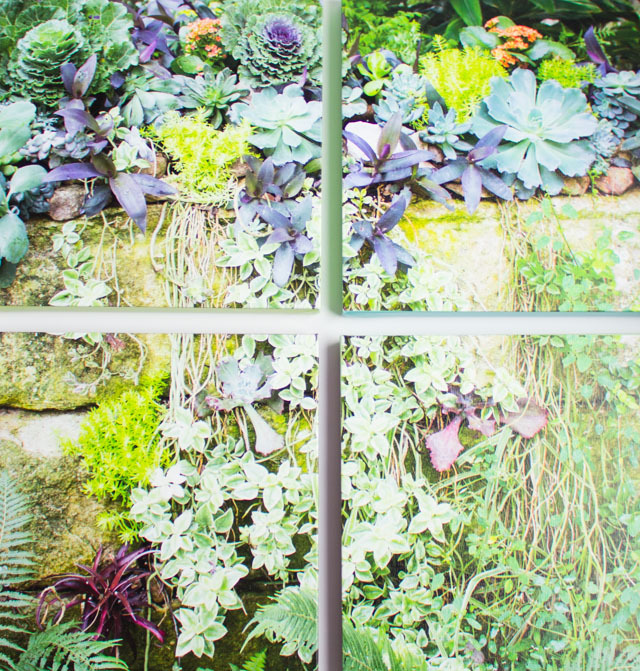 Pick a crisp, high-resolution photo and edit it a bit with a photo editing software to enhance the colors. I used Lightroom, but PicMonkey is another great (free!) online photo editor. 2. 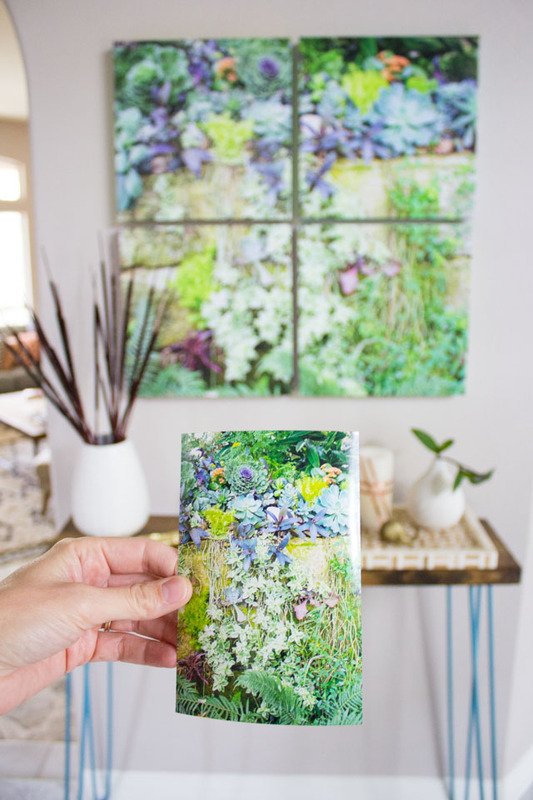 If you want to turn a single photo into a grid of 4 (or more) canvases like we did, use the photo editing software to crop the image into four equal squares. We didn’t have a tool that automatically segmented the photo into 4, so we had to eyeball it to line up the quadrants as close as we could. 3. Now for the fun part! 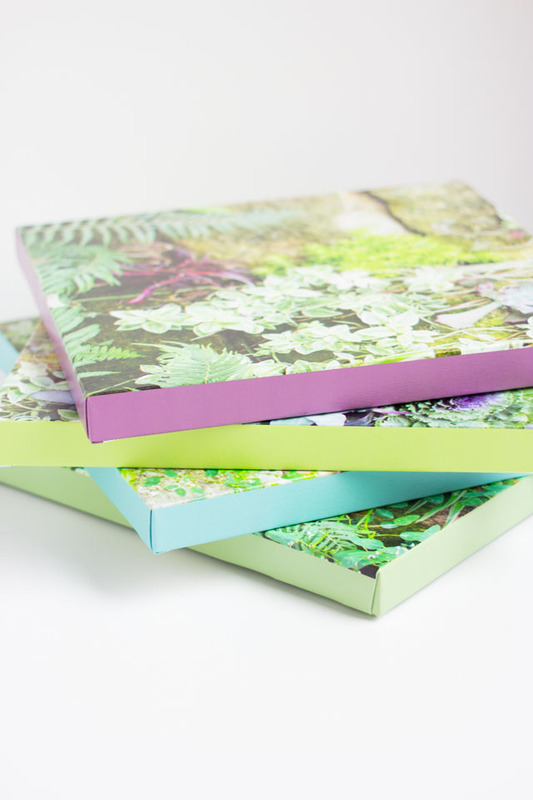 Head to SnapBox, choose their gallery wrapped canvases, and upload your photos. 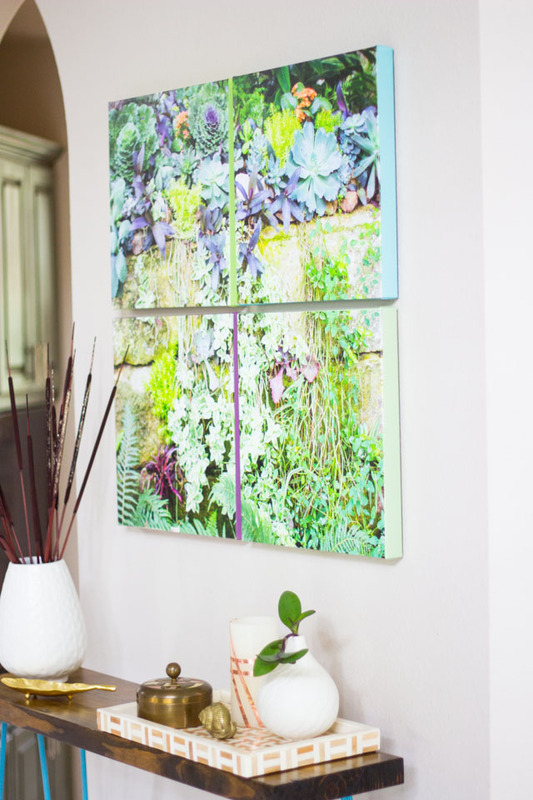 You can choose from 24 sizes of canvases ranging from 6″x9″ all the way to 36″x”54″! 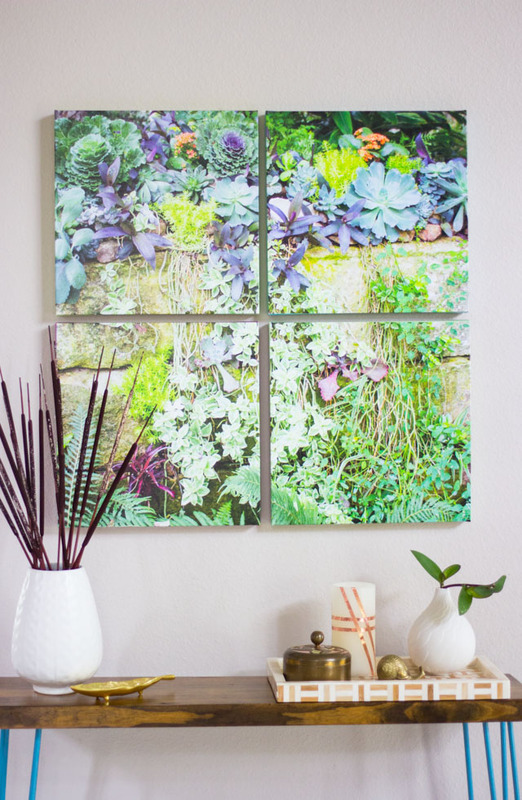 We measured our wall and chose four 14″x14″ square canvases to fit the space. 4. 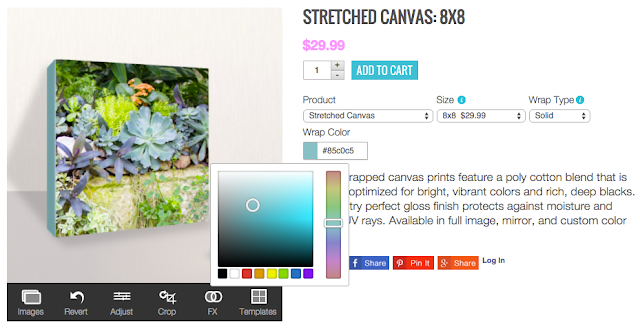 I love SnapBox’s uploading tool because it shows you a mockup of how your canvas will look, and you can even select a custom wrap color for the canvas border. How cool is that?! 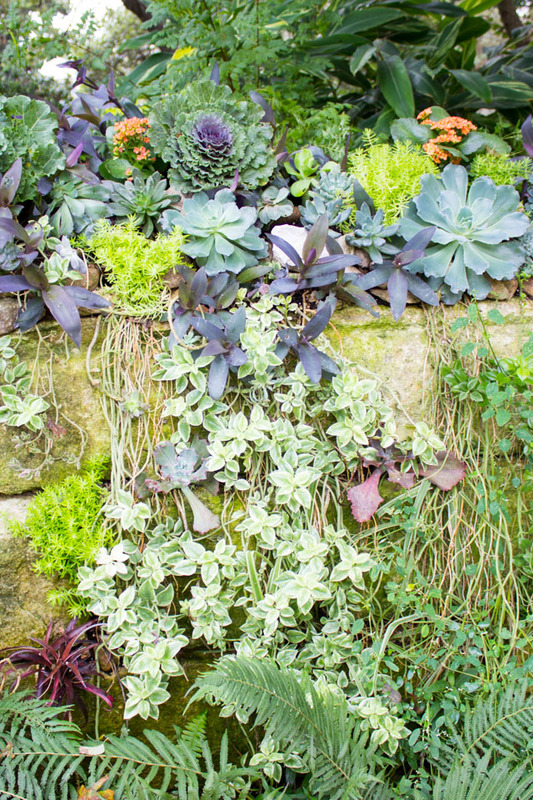 I chose 4 coordinating colors for the borders that complimented the colors in the succulents: I love how the borders add another touch of unexpected color to the already colorful art! We replicated the blue in the canvas borders for the table leg color (yay for even more color!). 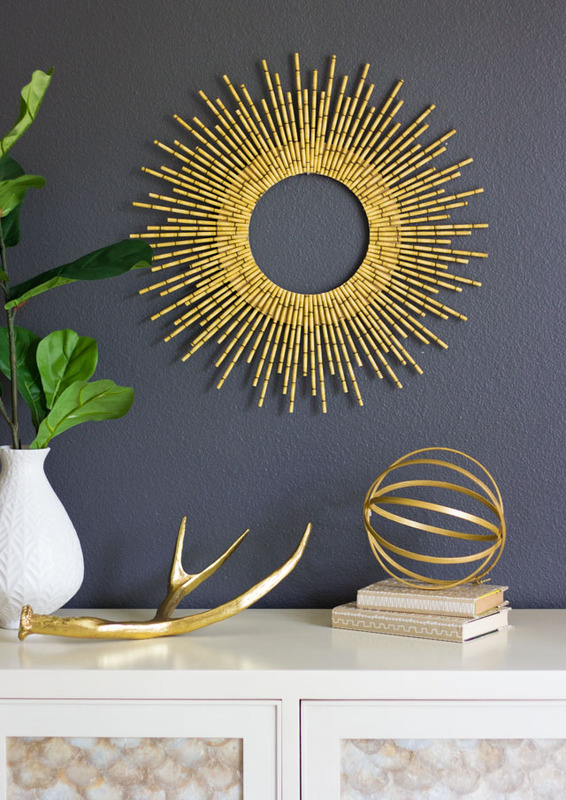 I’m so happy to finally have our entryway decorated, and it feels especially good that we created the decor ourselves. 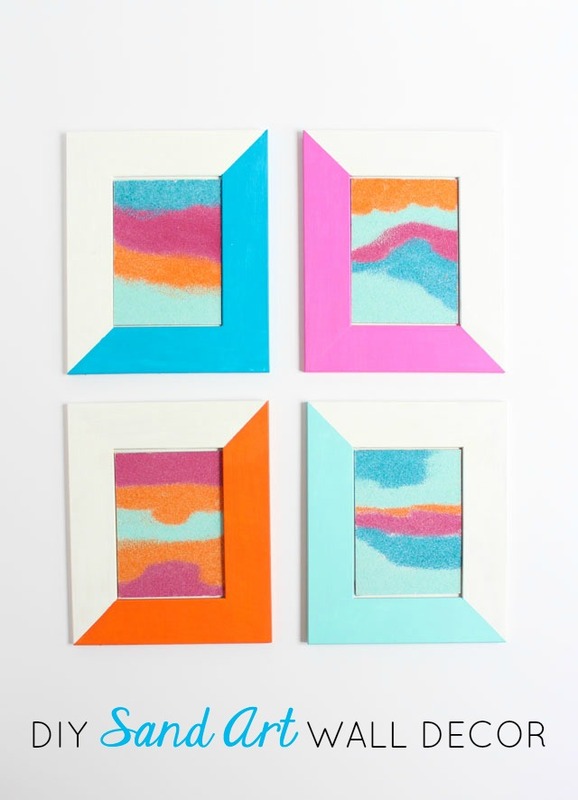 😉 I’ve been really impressed with SnapBox’s products – in addition to these canvases, I’ve also made a gallery wall of my balloon projects using their Fotobit frames, and custom throw pillows from my daughters’ art projects (I just bought a few of their pillows for Christmas presents). Be sure to check out these tutorials for more photo art inspiration! This post is sponsored by SnapBox. All content and opinions are my own.